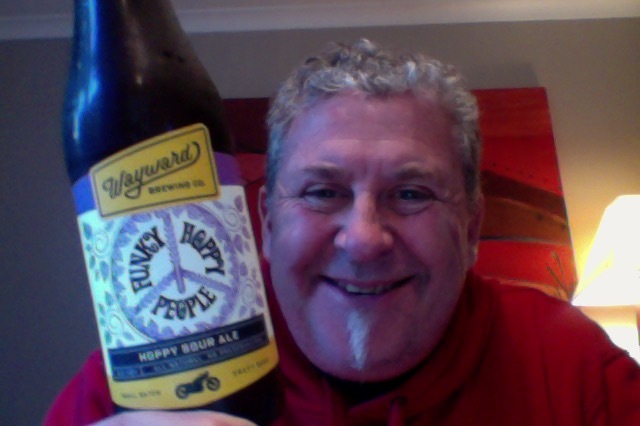 The GABS (Great Australasian Beer SpecTAPular) pack then delivers me a Funky Hoppy People from Wayward Brewing Co – Australia. Another sour beer, I’m really going to stop trying them soon, said a forlorn man. A mad fusion of the Wayward team’s favourite funky, hoppy and sour beer styles, this beer layers yeast notes over a tart yet complex malt profile, bringing it home with massive tropical and stone fruit aromas. The end result… and extremely approachable tropical hoppy sour ale with a hint of funk and a refreshing dry finish. An extremely approachable tropical hoppy sour ale with a hint of funk and a refreshing dry finish. Funky Hoppy People is a mad fusion of our three favourite styles (funky, hoppy and sour), layering funky yeast notes over a tart yet complex malt profile and finishing off with massive tropical and stone fruit hop aromas. The beer starts as an approachable Berliner Weisse which is then massively dry hopped with Denali, Amarillo and Hallertau Blanc to deliver delicious aromas of pineapple, passion fruit, melon and apricot. A long & slow fermentation with a blend of our house Saison strain and our house Brettanomyces strain develops complex citrus and pineapple esters, a dry refreshing finish and just a hint of barnyard funk from the wild yeast strains that will develop further over time in the bottle. So, What could possibly go wrong? Another sour beer, I’ve got to stop this. But this is a new cap for the cap jar, a story which I need to write and share more about, soon. I open it and the aroma, well Funky would be about right, a dullness. The sourness / Bitterness is very peaky and sharp / pointed which is a distraction from what could be quite a nice beer. I do like that softer middle but I’m not ok with that sharp bitterness that’s both peaky and sits at the edges, this isn’t a beer that quenches you , it’s a beer that prickles at you for attention, like a hungry cat wanting food. … it was at this point a few hours later that a large presence in the NZ brewing scene, and someone who I have great respect for contacted me and says “the 6 packs are not for best in style. We have to have them packaged about 2-3 months before GABS even happens…” Which made me a little embarrassed, of course there’s planning and you don’t do this stuff on the hoof, or wing it. So then perhaps I should wonder how the beers get chosen for the packs if they are not the best, like who voted for them or are they paid for advertisements of a sort? The pdubyah-o-meter rates this as 7 of its things from the thing. I can’t be had with sour beer that is just sour, but a back story that makes it seem like you’re drinking tears from mythical angels. This is ok but no more than ok, and there is nothing that makes it better than that, or better than any other sour beer that is done this way, peaky edgy and tart. It’s not my kind of beer. It’s a seven because it’s average, and I’m not mean. Where did I get it? The GABS 6 pack from the Liquorland store. Would I share with a friend on a porch and set the world to rights? It has lovely bottle art, but that’s all there would be to talk about, this is a beer that is just not good enough to share or talk about. Daniel Francis “Dan” Croll is a British singer-songwriter born in Newcastle-under-Lyme, Staffordshire, England. 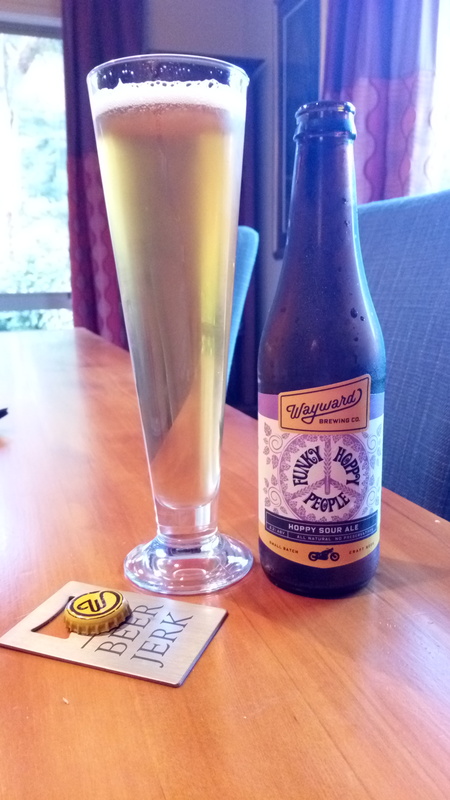 This entry was posted on July 22, 2017 by Philip Walter in Beer of Australia, Beer Review, Brewed By, Craft Beer, Critic, Sour/Wild Ale, Wayward Brewing Co and tagged craft beer, Funky Hoppy People, Wayward Brewing Co, Wayward Brewing Co Funky Hoppy People.